(A) taxpayer is someone who has to work for the federal government without taking a civil-service test. A hungry child knows no politics. An economist is someone who sees something happen in practice and wonders if it'd work in theory. Approximately 80 percent of our air pollution stems from hydrocarbons released by vegetation, so let's not go overboard in setting and enforcing tough emission standards from man-made sources. Cannot swords be turned to plowshares? Can we and all nations not live in peace? In our obsession with antagonisms of the moment, we often forget how much unites all the members of humanity. Freedom is individual- there is no 's' on the end of it. You can diminish it, but you cannot divide it and choose to keep 'some freedoms' while giving up others. I never knew anything above Cs (in school). I would just warn you that if you get in bed with the government, you'll get more than a good night's sleep. It is time for us to realize that we're too great a nation to limit ourselves to small dreams. Some people spend an entire lifetime wondering if they've made a difference to this world. Marines don't have that problem. Sometimes the right hand doesn't know what the far-right hand is doing. The defense policy of the United States is based on a simple premise: The United States does not start fights. We will never be an aggressor. We maintain our strength in order to deter and defend against aggression- to preserve freedom and peace. The future doesn't belong to the fainthearted. It belongs to the brave. Well, I would- if they realized that we- again if- if we led them back to that stalemate only because that our retaliatory power, our seconds, or strike at them after our first strike, would be so destructive that they couldn't afford it, that it would hold them off. What does an actor know about politics? What kind of people do we think we are? When cruelty is inflicted on innocent people, it discredits whatever cause. 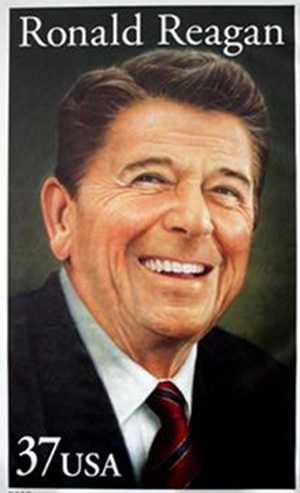 >p>Ronald Reagan is the first modern President whose contempt for the facts is treated as a charming idiosyncrasy. In the Reagan years, more federal debt was added than in the entire prior history of the United States. He has the ability to make statements that are so far outside the parameters of logic that they leave you speechless. The fox, as has been pointed out by more than one philosopher, knows many small things, whereas the hedgehog knows one big thing. Ronald Reagan was neither a fox nor a hedgehog. He was as dumb as a stump. He could have had anyone in the world to dinner, any night of the week, but took most of his meals on a White House TV tray. He had no friends, only cronies. His children didn't like him all that much. He met his second wife — the one that you remember — because she needed to get off a Hollywood blacklist and he was the man to see. Year in and year out in Washington, I could not believe that such a man had even been a poor governor of California in a bad year, let alone that such a smart country would put up with such an obvious phony and loon.